Welcome to the website of Afes Meat Market! Afes Meat Market supplies supermarkets, wholesalers, kebab productions, butchers and the food service industry with meat products from lamb, veal, beef as well as with their offal. Especially the quality of our products, which is periodically tested and certified, is paramount to us. In terms of quality and freshness the Afes GmbH family business, managed by father and sons, does not compromise. 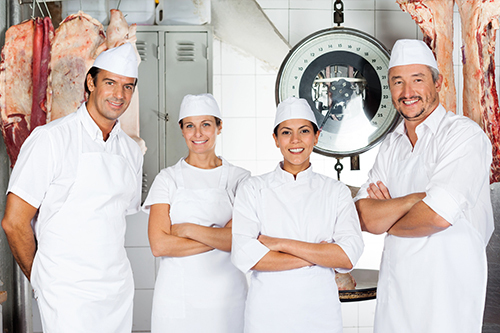 With approximately 35 years of professional experience in the meat processing business our meat company, located at the wholesale market Berliner Großmarkt, enjoys an excellent reputation. To ensure top quality of our products, we also pay high attention to proper conditions at our suppliers’ companies. We benefit from our long years of experience in the field of meat processing: after three decades in the meat business we know the importance of quality. Nevertheless, our processes and products are constantly optimized to ensure the highest quality. 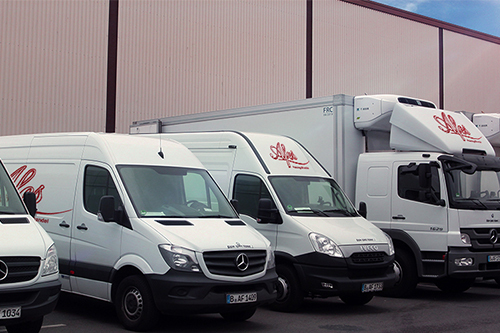 Our service is characterized by the company’s own fleet of vehicles, which allows an uncomplicated and flexible delivery of our meat products to the customer. By combining production and logistics, we can minimize delays and ensure the full satisfaction of our customers. We cordially invite you to read through our pages for a first impression and for first information. If you have any questions or if you would like to place an order: please contact us via phone, email or the contact form, which you can find at the bottom of this page. In addition, we invite you to get an idea of the terms and conditions of Afes Meat on the spot and discuss your wishes with us in person.